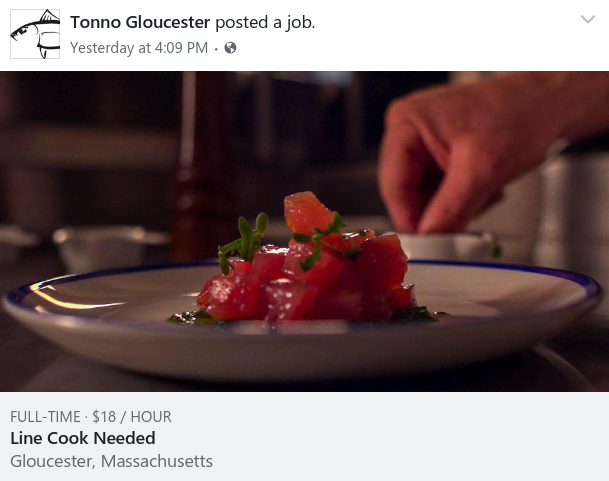 Tonno Offstreet Parking? You betcha. Parking ban gotcha nervous? We got you covered. Pull into our lot just before the building after the Fishermens outfitter. It was the best kept secret before this post. -Bloody Mary’s and Champagne Cocktails too! 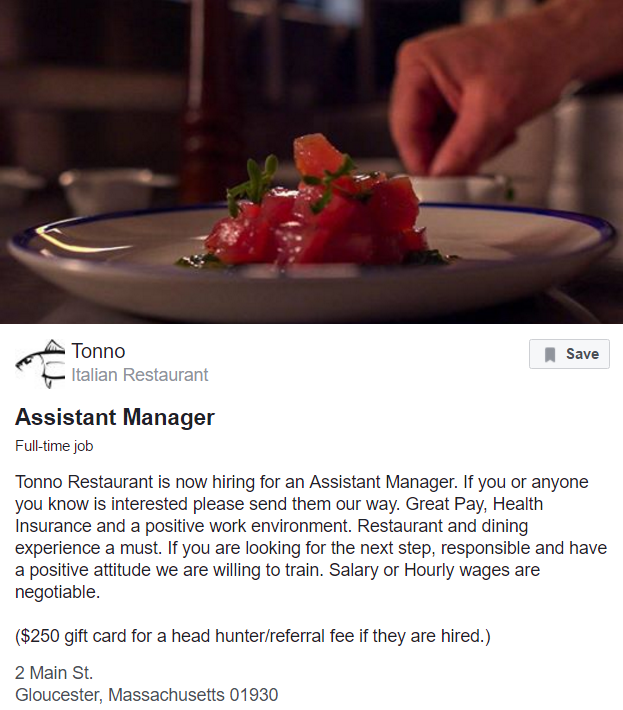 Tonno Restaurant is now hiring for an Assistant Manager.